Click on individual images to listen to the prayers. Close the windows before listening to other audio pieces. Prayers for action, prayers for peace, prayers of compassion, prayers for justice, prayers of love are invoked as part of many cultural and religious traditions. Wiggins poses the question to participants in this project: “What is the power and benefit of prayer that is intended for the benefit of others?” Wiggins collected and recorded prayers, poems and blessings from a wide circle of people and created a silken bannered space to house these audio and video recordings. Included is a prayer for humility, a prayer for Palestine, a healing prayer, a prayer for the White House, a prayer for Pachamama, a prayer for equanimity and many others. The prayers are in several languages. 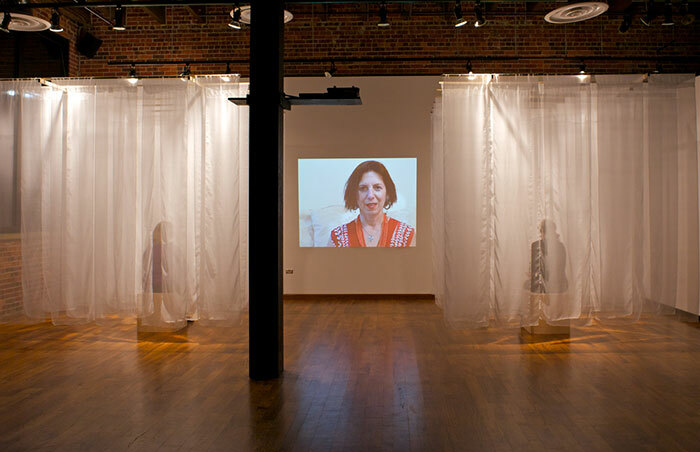 The installation takes form with two 10’ x 10’ x 10’ silken bannered “prayer rooms” with a video scrim in between. Each “prayer room” encloses a bench with headphones and a CD player. Video of the participants speaking the prayers is projected in between the two rooms. 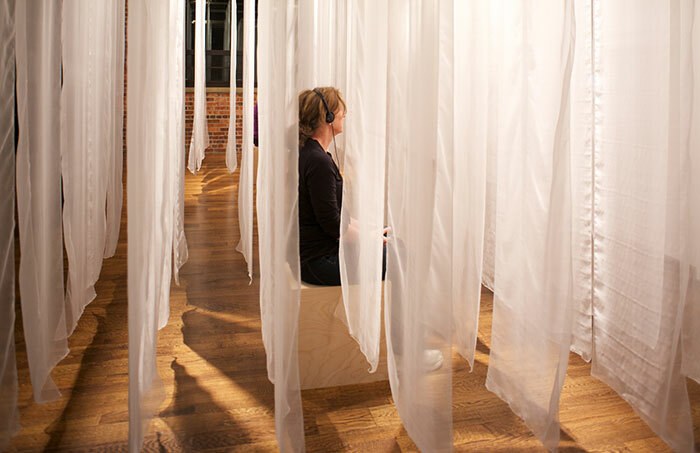 The installation invites visitors to enter into these airy spaces and quietly listen, look and contemplate these prayers for others. Recording and audio engineering by Bruce Casteel.